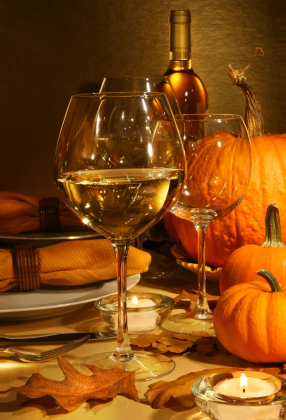 May you and yours have a blessed and joyful Thanksgiving! 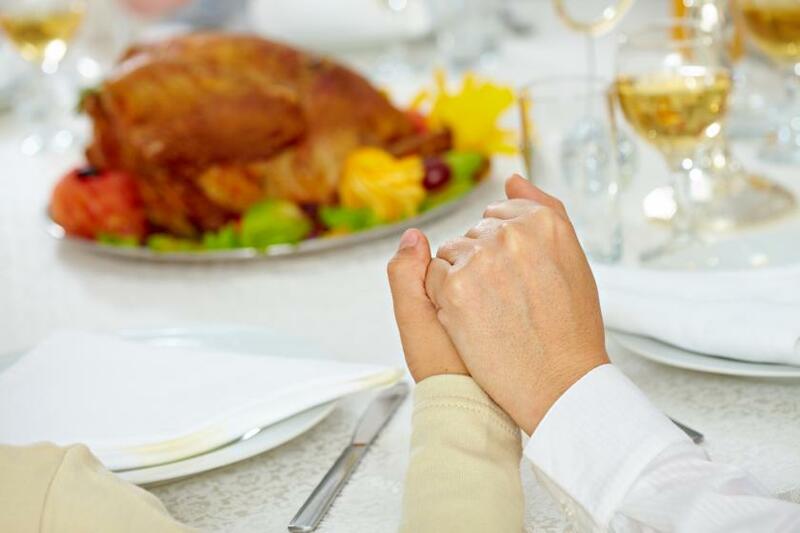 On Thursday, millions of Americans (citizens and permanent residents alike) — of all faiths — will gather with family and friends to give thanks for the blessings of life. There is a lot to be thankful for. 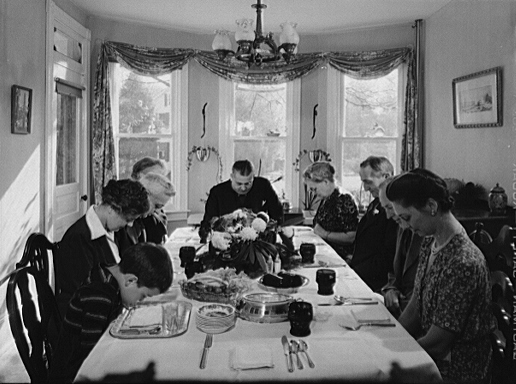 And, to those of us who will be enjoying a bountiful Thanksgiving feast, we should bow our heads in sincere and humble gratitude. Not everyone will be as fortunate. 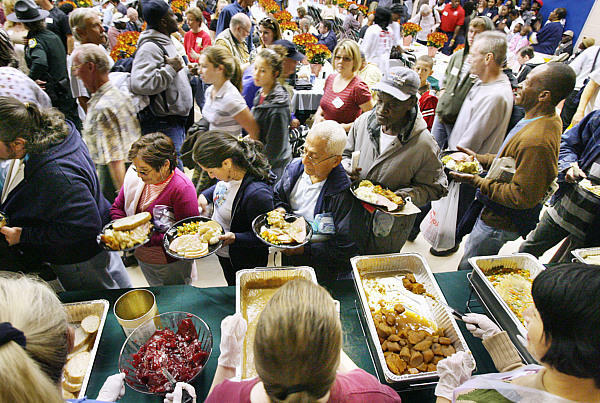 Missions, food banks, and shelters will be overwhelmed with people seeking a Thanksgiving meal. They will rely on the kindness of strangers — people like you and I, who donate food and money to organizations that exist for no other reason than to feed the hungry in our respective communities. So, as you fill up your pantries with festive food, please remember to keep some aside to share with those in need. If you can, volunteer an hour or two of your time to serve meals at your local mission. The staff could really use your help. There are more hungry and homeless people this year than last year. 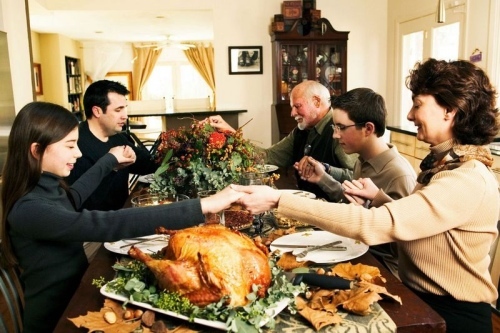 And, if you know someone who is suffering financially or who will be all alone this Thanksgiving, why not set an extra place setting at your dinner table and extend some hospitality? A little humanity will go a long way. After all, isn’t that what Thanksgiving is about? Many seasonal blessings to you and yours, dear readers! 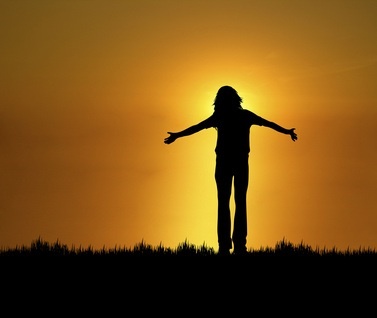 In the spirit of humility we give thanks for all that is. We thank the great spiritual beings who have shared their wisdom. We thank our ancestors who brought us to where we are now. 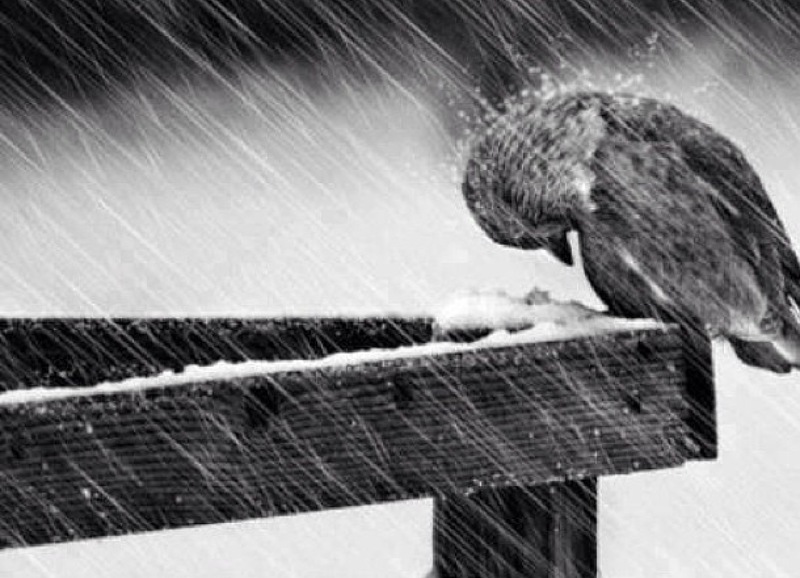 to share in this wonder that is life. for the community of humankind that enables us to do many wonderous things. that as intelligent beings we can reflect upon the many gifts we have been given. 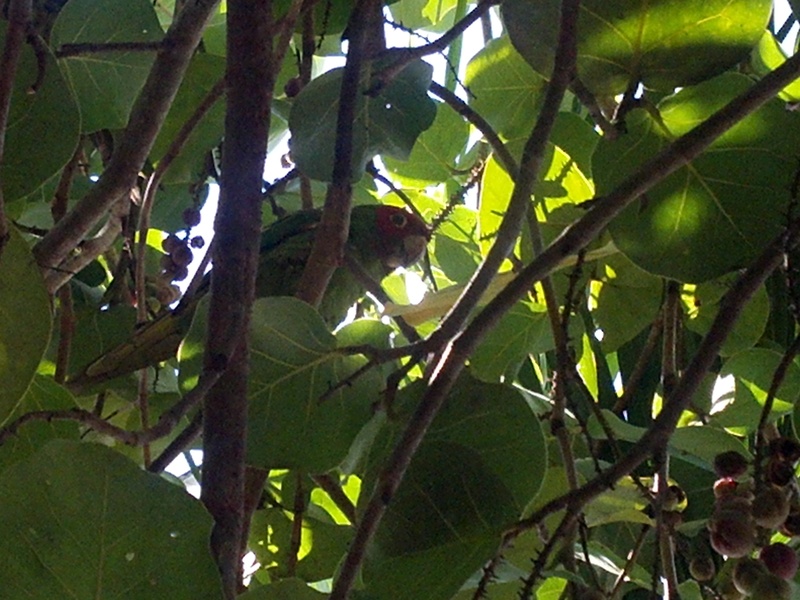 This is one of the twenty-five or so parrots that fly into the sea grape trees in our front garden. They are exuberant, colorful birds that squawk loudly — as they happily nibble on the grapes (their boisterous behaviour is probably a direct consequence of inebriation — from the grape juice!). When I look at these two beautiful trees, which form a welcoming canopy over the front of the house, and the abundance of ripe grapes and tipsy parrots — I feel happy and grateful for these gifts of nature, gifts that can’t be bought in the Mall – or anywhere else, for that matter. To my family and friends who know of my weakness for “the Grape,” it is no surprise that I would have a house with a yard that smells like a vineyard — crushed grapes everywhere (you can’t avoid stepping on them!). Although we haven’t honed our wine making skills as yet, we are feeding some of the people in our neighborhood. The trees have large branches that flow over the front fence to the street, providing shade on the sidewalk and tasty bounty for passers-by. 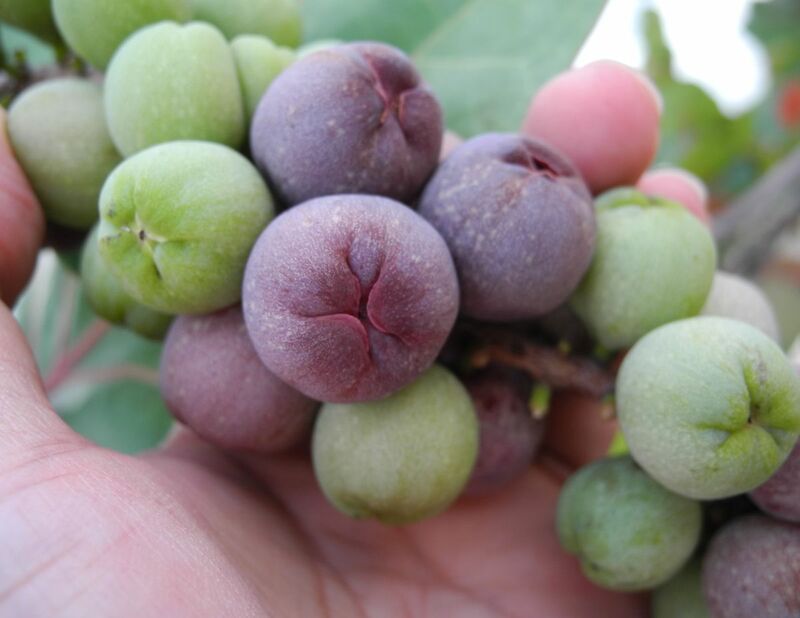 Often, I go out to the front gate, and give them paper bags to gather the ripened grapes. Sharing a harvest of grapes with neighbors. It just doesn’t get better than that.